Filming commences this week for an American movie that is being called the ‘Jungle Move” by director/filmmaker Christopher Coppola in which a Belizean actor has been cast in a supporting actor role. 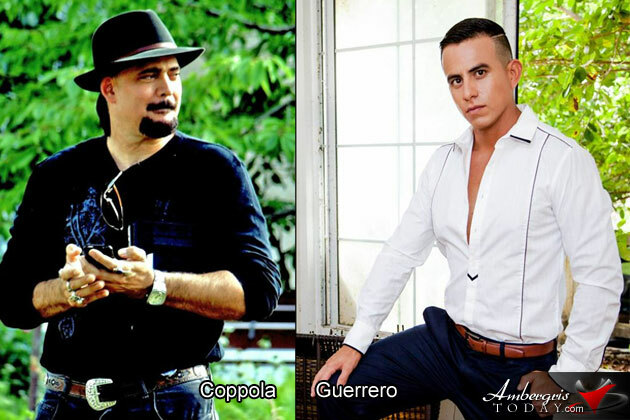 Local San Pedro, Ambergris Caye resident Horacio Luis Guerrero and star in the La Isla Bonita Telenovela, will be acting alongside Hollywood celebrities Debra Unger, John Savage and Vincent Spano in the film directed by Christopher Coppola, brother to A-list actor Nicolas Cage. Coppola is nephew of Francis Ford Coppola and actress Talia Shire and cousin of director Sofia Coppola. He began his filmmaking at an early age by creating super 8 films that starred his brother, Nicolas Cage. Horacio had to send profile pictures, movie clips from his appearance in the La Isla Bonita Telenovela. He even had to submit a video audition as the role of the movie was that of a ‘good guy’, a stark difference from his protagonist role in the telenovela. Coppola was impressed and Horacio was hired for the role. We are pretty excited as Horacio ‘Chito’ Guerrero will play Manauia "Mannie" Molina the Mayan detective who went to Catholic school with Clara in San Antonio, Belize when they were little. He's the younger "other man" so to speak. Congratulations Horacio, we are all excited to see you in the big screen on your new movie role. Celebrity actors already signed up for the 'jungle movie', including the legendary B-movie actor Clinton Pulu Lightburn from Belize is also on board to play Gamier, the Punta Gorda Robin Hood.